Bright Wolf is a trusted partner to Fortune 1000 companies for architecture design, system integration, development, and operational support for large-scale industrial and enterprise IoT systems based on the Strandz IoT data management platform. Bright Wolf has delivered secure and flexible global solutions across industries including healthcare, heavy equipment, energy, fluid management, agriculture, cold chain transportation, and industrial controls. 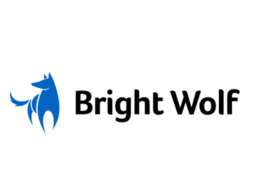 Bright Wolf’s composable set of modular components supports deployments on devices, in the datacenter, and in the cloud.